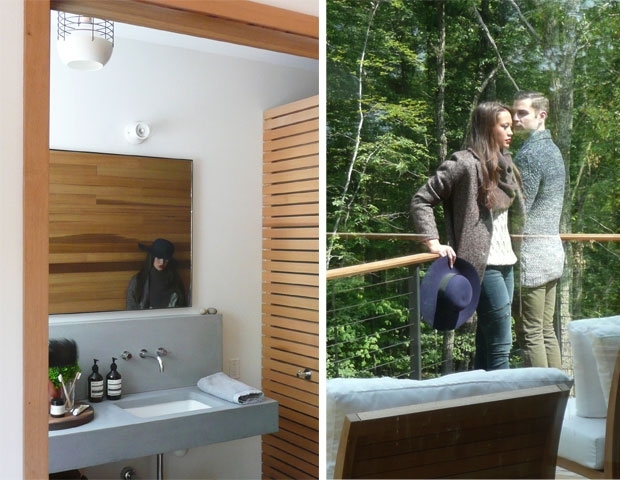 “I wanted to photograph the Chronogram magazine spread at Hudson Woods because I had read about it in the local press touting environmentally friendly building practices featuring local artisans work,” remarked photographer Kelly Merchant. 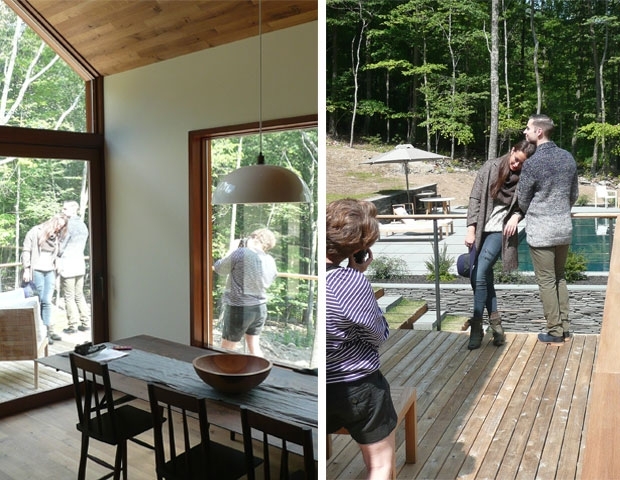 We’re excited to continue highlighting local artisans and hope that Hudson Woods can serve as a unique point of inspiration for the creative community across disciplines, from architecture to furniture to fashion to photography. 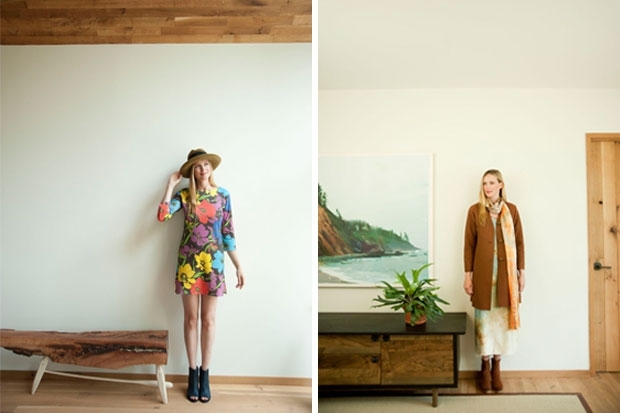 Below, two of our local maker partners are featured in Kelly’s photos. 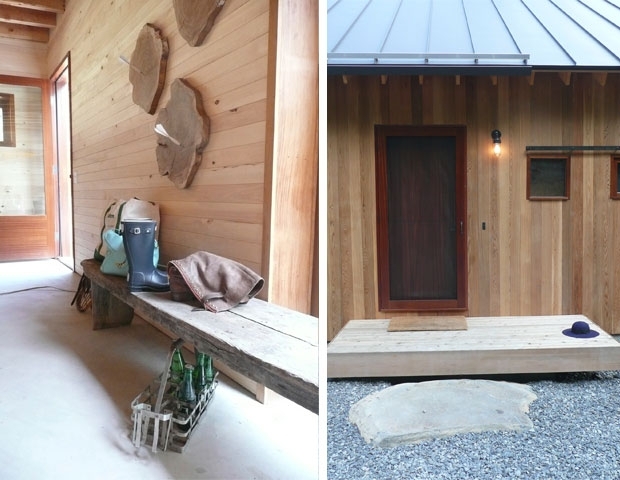 On the left, a bench made from found wood by Samuel Moyer and on the right, a credenza in the downstairs den, made by Fern Handcrafted. Pictured below, the kid’s room beds, designed in-house at Lang Architecture and built by Hudson Woods construction manager, Jackson Hahne. A few behind the scenes photos below we captured during the shoot.